PennsylvAsia: 2017 documentary Ryuichi Sakamoto: Coda at Southside Works, July 31. 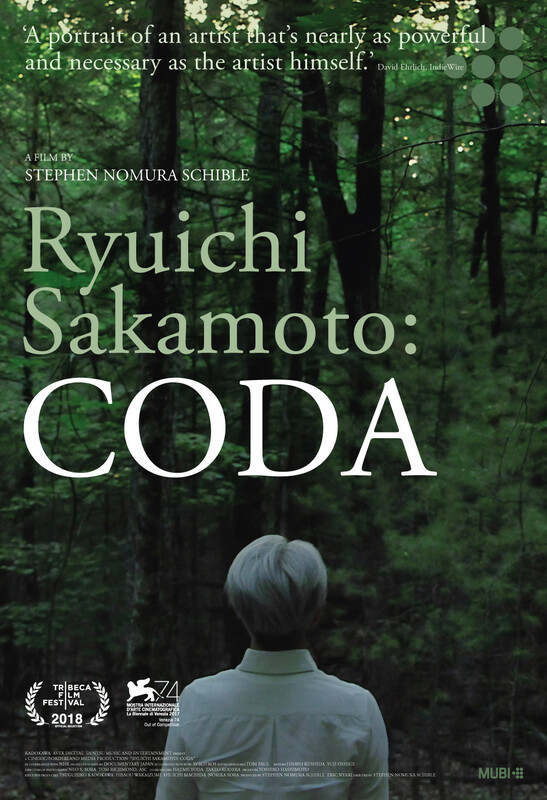 2017 documentary Ryuichi Sakamoto: Coda at Southside Works, July 31. Admirers of the highly respected Japanese musician (and occasional actor) will enjoy “Ryuichi Sakamoto: Coda,” a leisurely look at a multi-talent best known in the west for composing memorable original scores for directors from Bertolucci and Oshima to Inarritu and Miike. Stephen Nomura Schible shot this documentary over a five-year span, during which Sakamoto survived a serious cancer scare. That lends some drama to a tastefully elegiac portrait that otherwise demurs from any discussion of its protagonist’s personal life or background. Tickets for the 7:30 pm show are available online. The theater is located at 425 Cinema Drive in the Southside, one block from the Hot Metal Bridge (map).